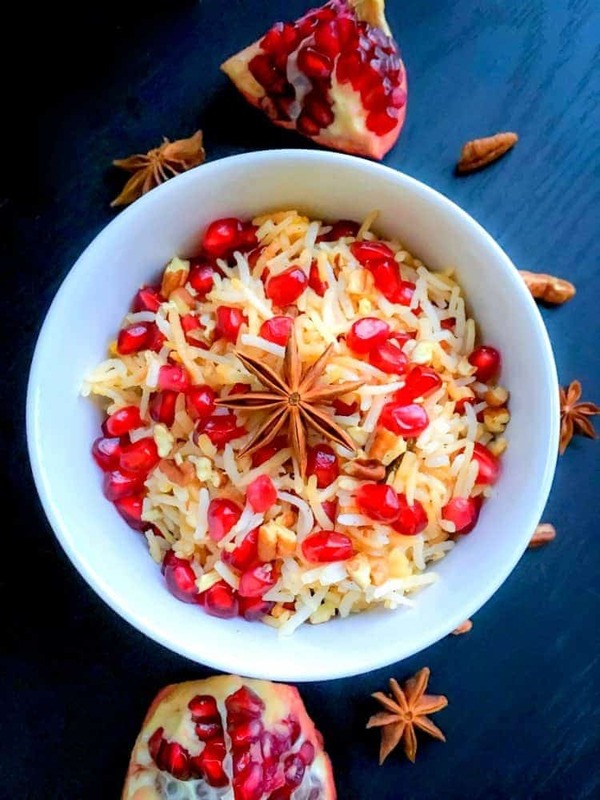 Best Ever Pomegranate Pecan Rice: delicious vegan-glutenfree rice pilaf that is studded with beautiful pomegranate pearls, cooked in mild spices and pecan. It can be a great side dish for your holiday party or a one-pot meal. Since past few weeks and especially weekends, I really look forward to our ‘Meatless Monday‘ meals. Everyone is in a holiday mood, so whenever we meet up with friends/families or even co-workers, food usually turns out to be pretty heavy. Laden with all the nom’s that we usually wouldn’t eat and with an extra helping of desserts…Right ! It’s the holidays and soon we all would be making our yearly health resolution. Don’t you feel so too? 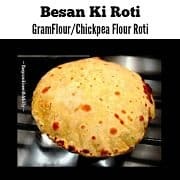 Hence after every weekend, I always try to keep our Monday meal, slightly much more healthy than we usually eat, cause we should at least try to start our week with some healthy – exciting – delicious meal. 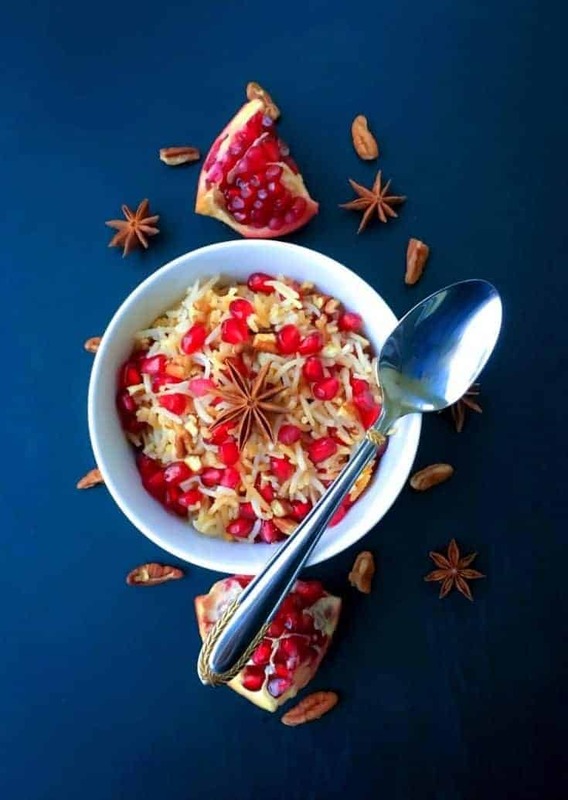 So for this Monday, I’m going to share a very simple Pomegranate Pecan Rice /pilaf/pulao (pulao as we call it in India). Doesn’t it look pretty? It seriously is my favorite……..really really my most cooked rice recipe in winters. The combination of pecans with pomegranate is DIVINE! Which are tart-sweet-crunchy and packed with super nutrients like potassium, vitamin c, fiber and filled with antioxidants. And then mixing it with pecans, flavorful spices and I made this one using vegetable stock, but you can use water too. The Pomegranate Pecan Rice seriously tastes heavenly. 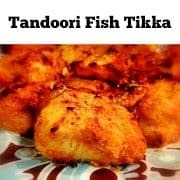 The recipe is fairly simple, you just need to cook rice, spices, and pecans along with vegetable stock or water and then once the rice is cooked. 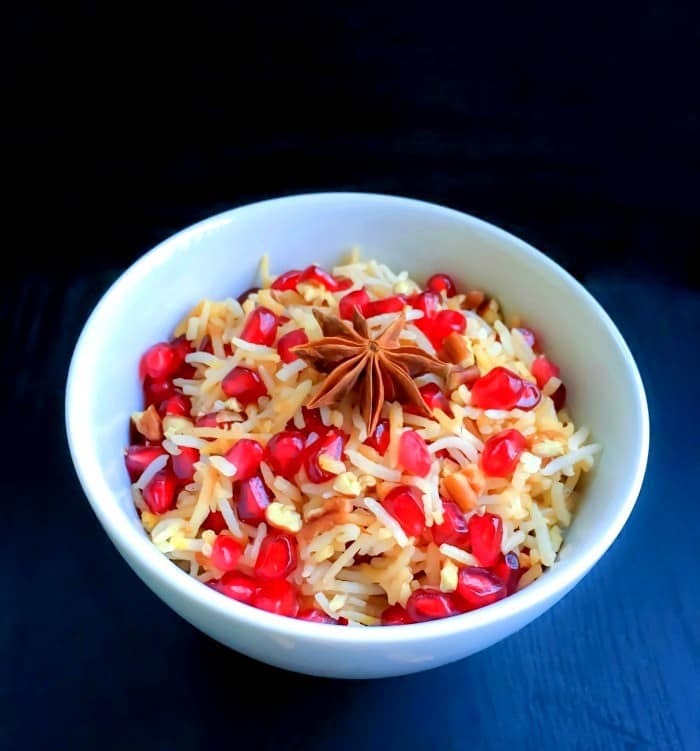 Just add heaps of fresh pomegranate seeds and mix the rice using a fork (gently). 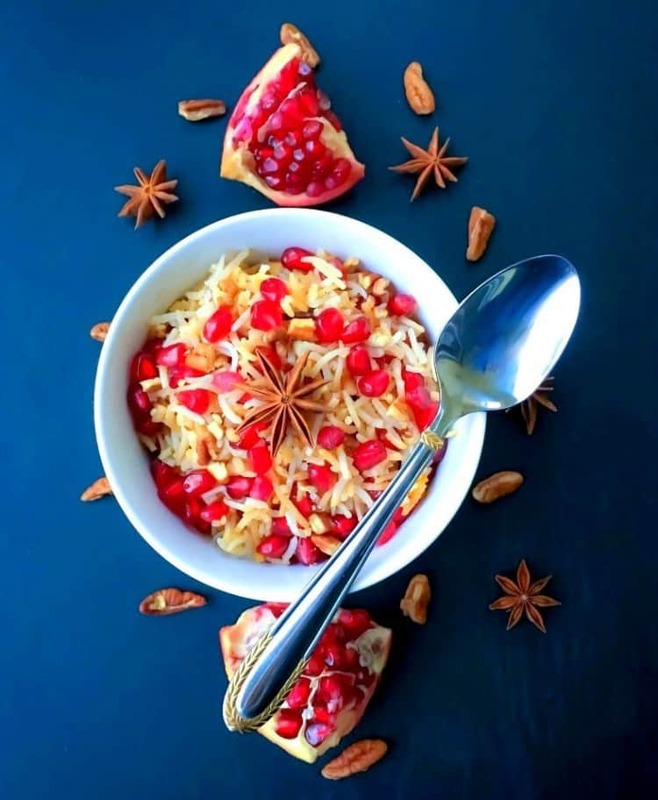 The key to the Pomegranate Pecan Rice is mixing the pomegranate lightly. If you push or add any force, the pom arils will blister and that will make your rice look kinda mush and a weird red color that no-one wants to eat that. if you plan to take this dish for a potluck or even office lunch, just keep the pomegranate separately and mix just before serving. So, go ahead and enjoy the Pomegranate Pecan Rice recipe and I’m submitting it for Meat Free Mondays. As always, I would love to hear back from you – just use #easycookingwithmolly and tag my recipes made by you. Rinse rice in a mesh colander under hot water for a minute and keep aside. Heat oil and ghee in a large pot over medium heat for a minute. Add all whole spices and saute. Now add onions, ginger paste and saute over medium heat for 2-3 minutes or till onions become golden. Add, rice, pecans, powdered spice and saute for a minute. Now, pour the vegetable stock or water in it, cover the pan and let cook for 15 minutes or till rice is evenly cooked. (Please check the rice every 5 minutes to prevent from burning). Once cooked, turn off the heat and let stand for a minute. Now add the pomegranate arils/seeds and mix lightly using a fork. 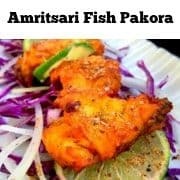 Transfer to a serving dish/bowl and serve fresh or cold as per choice. 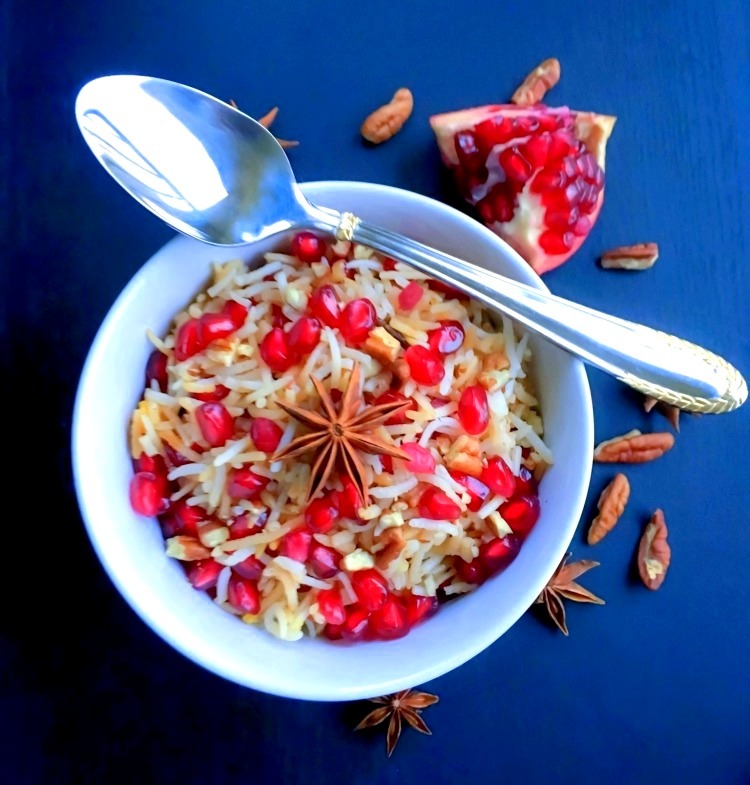 15 Replies to "Best Ever Pomegranate Pecan Rice (Vegan & Glutenfree)"
Thanks so much Natalie – So glad you liked it. This rice looks and sounds amazing! I am definitely pinning this one to try later! I’ve got a few pomegranates that I need to use up before I head home for the holidays. 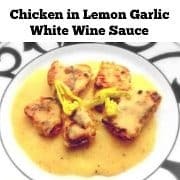 This recipe has my name all over it! 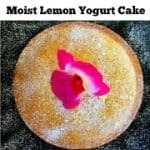 Such unique ingredients and lovely presentation. Bravo! What a lovely variety of spices you’ve chosen for this rice. I love the tang of the seeds and the crunch of the pecans. Great combo of flavors and textures. I never in a million years would have thought to put all of this together! You’re a genius! Lolz, I’m sure you can 🙂 Thanks for your lovely comment.